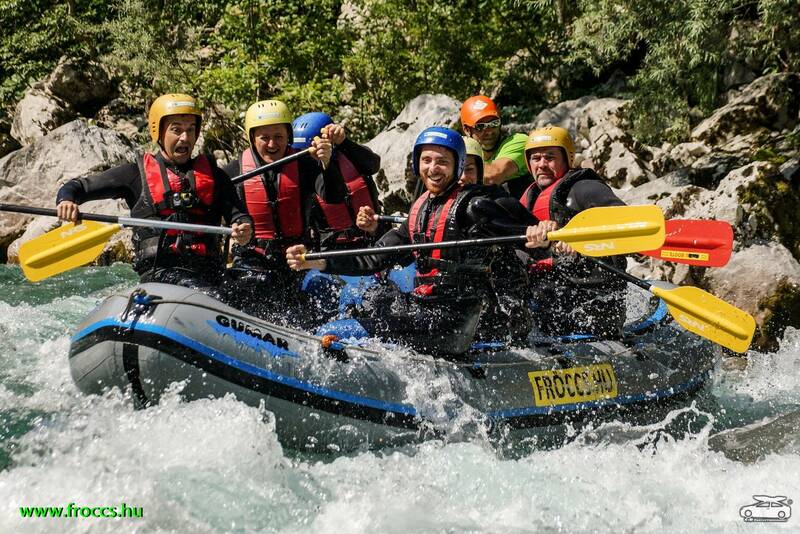 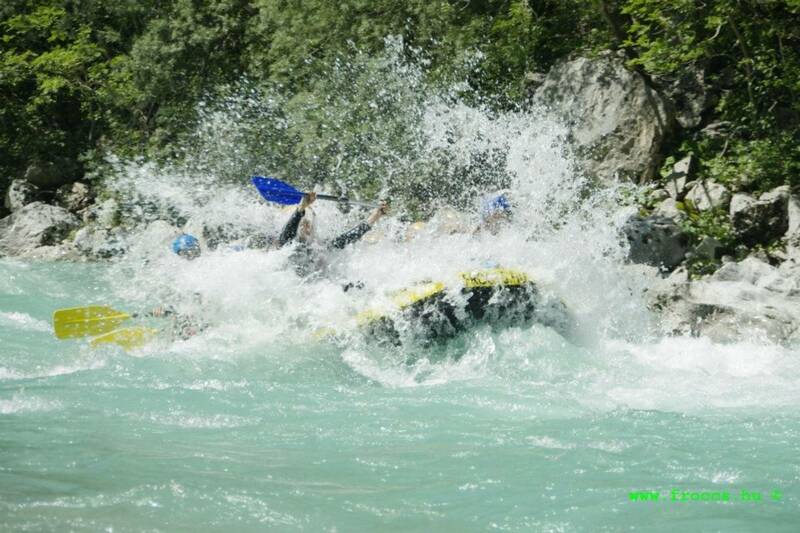 Rafting - World's 2nd friendliest rafting center. 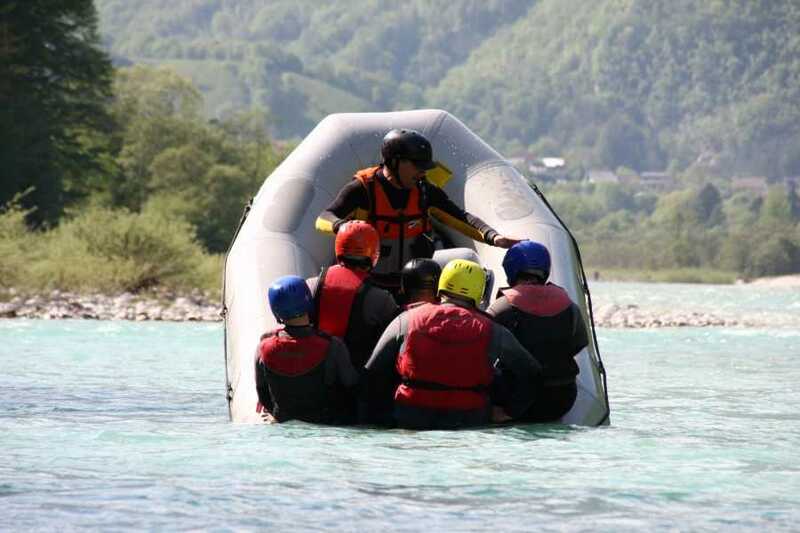 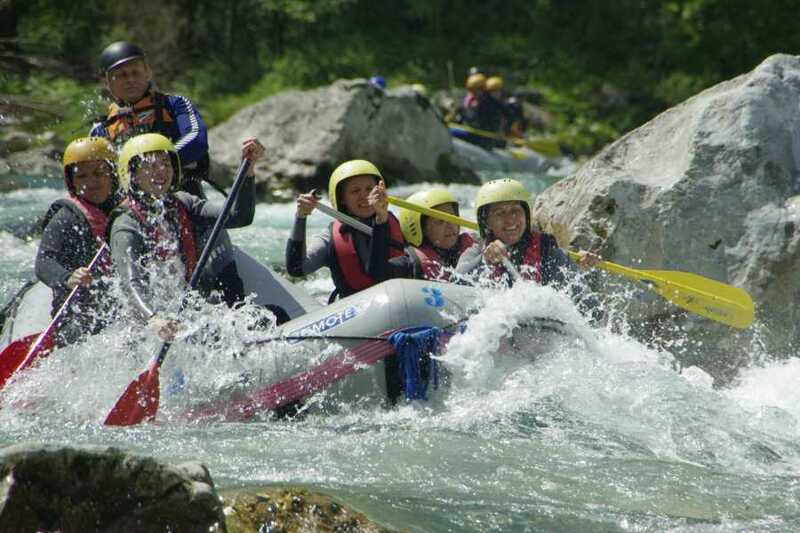 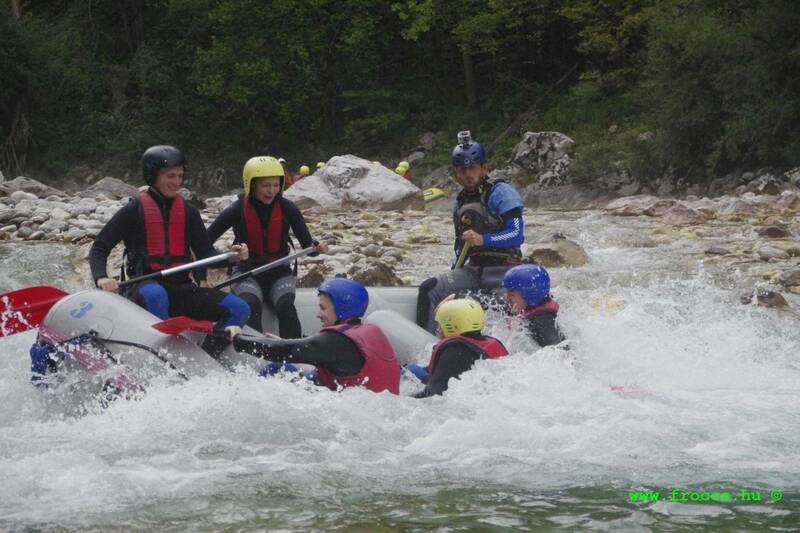 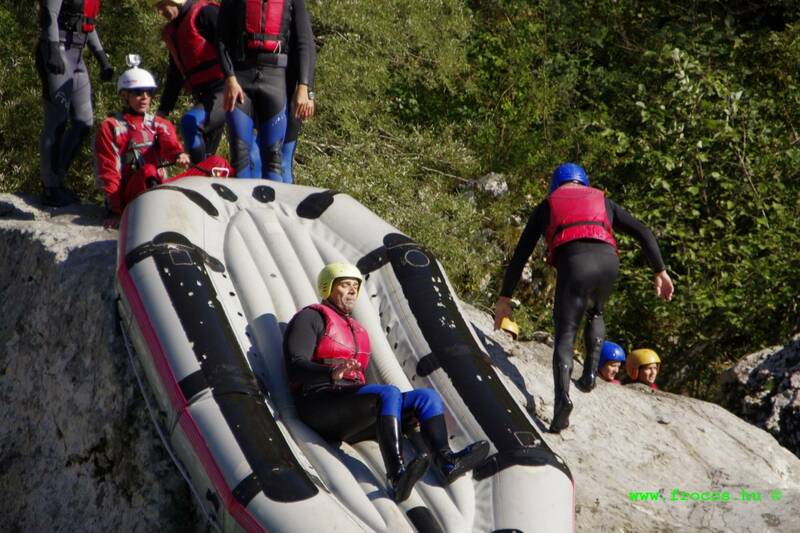 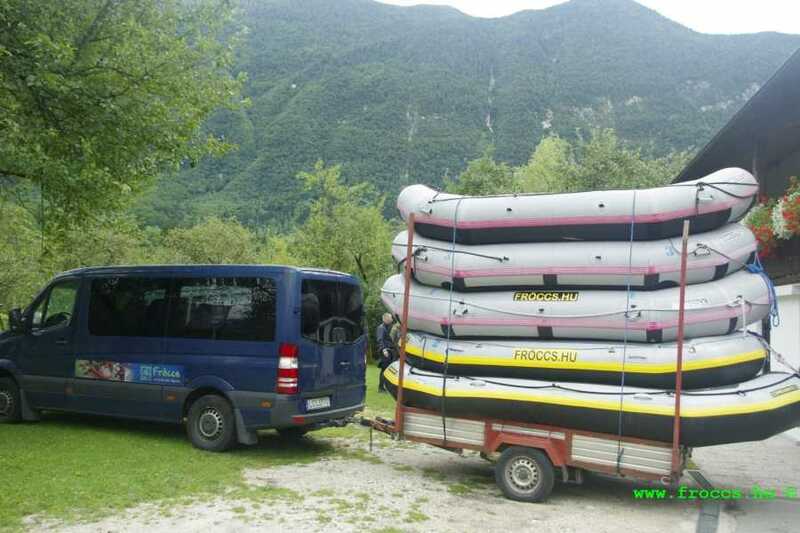 This excursion is an ideal introduction to the thrill of whitewater rafting, great for families or groups. Choose between the morning and afternoon departures and spot local wildlife as you cruise down the river. 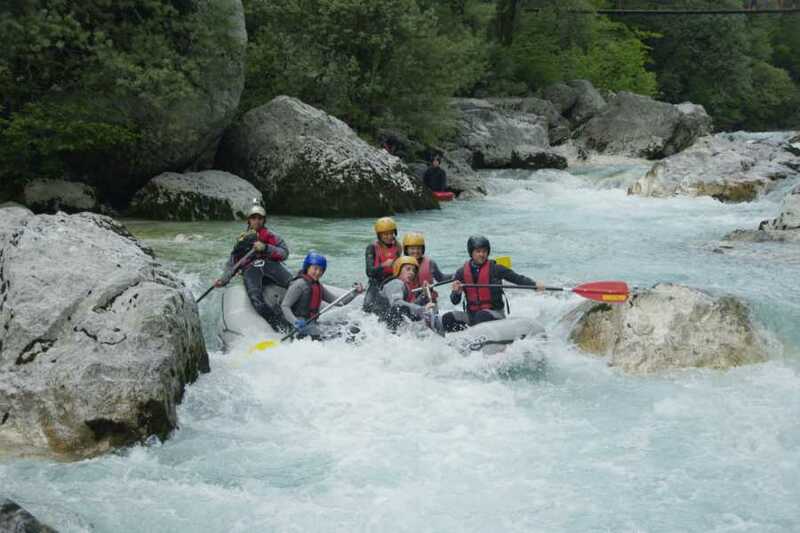 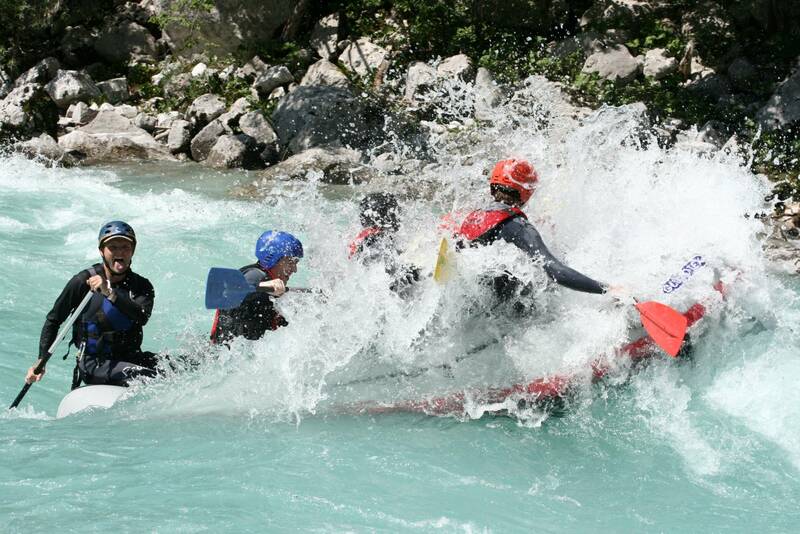 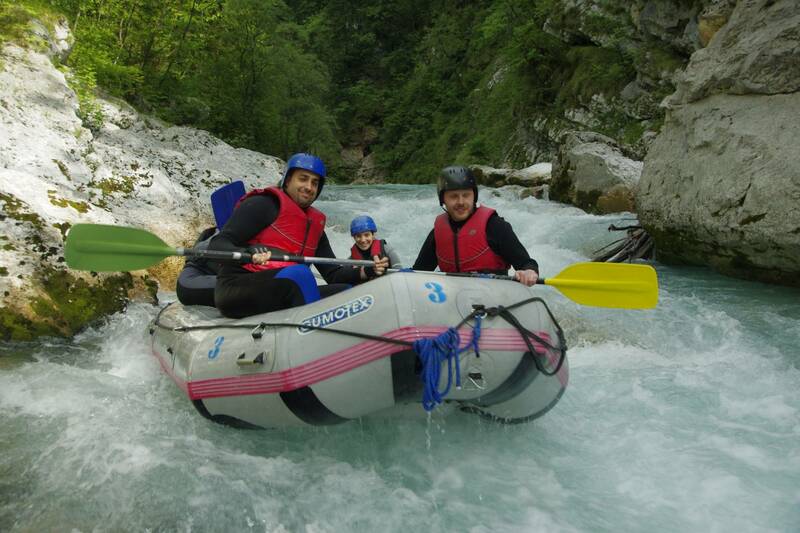 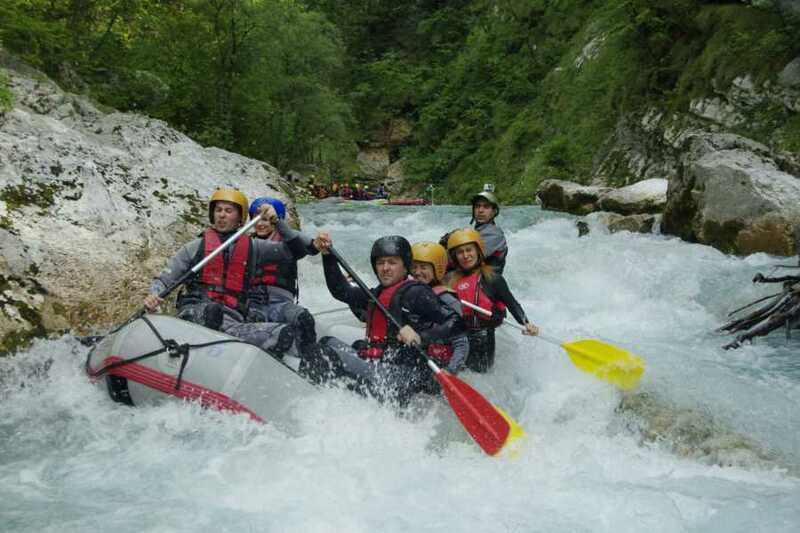 On the half day rafting trip, we go down on the most popular section of the Soca River. 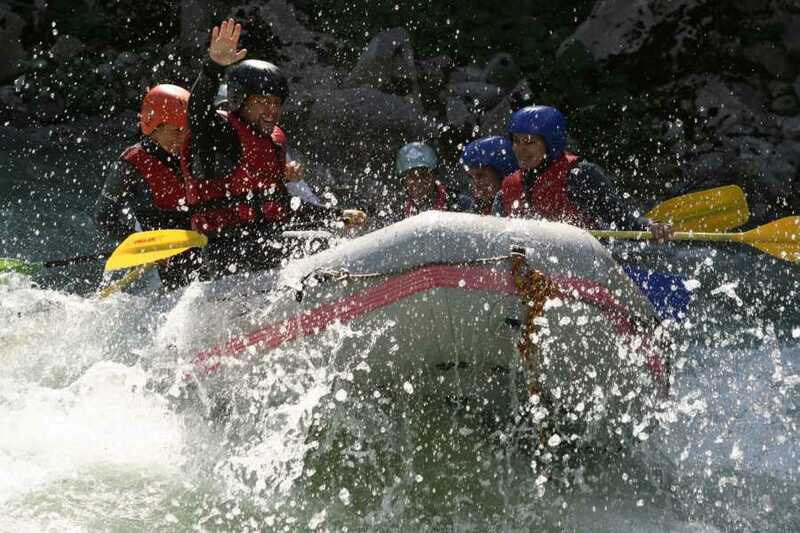 Before the rafting trip, there is a safety talk which includes your guide explaining what you have to know about the river, your equipment, and paddle techniques. 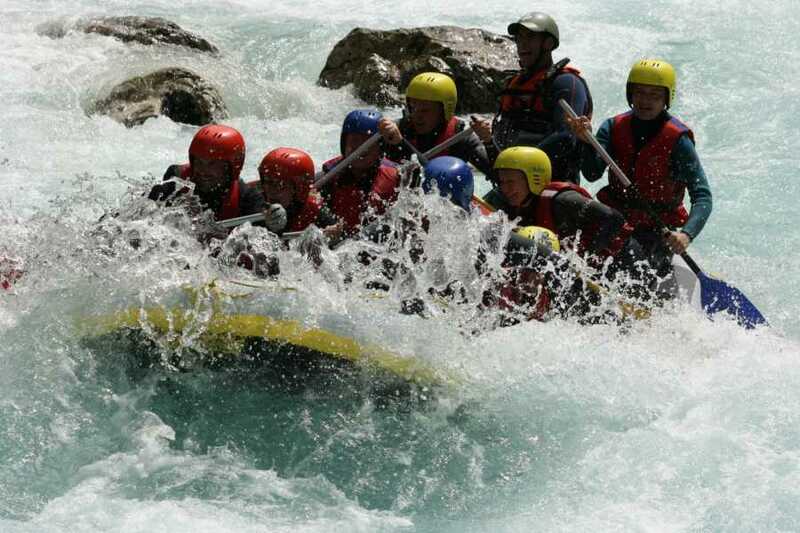 The first part of the river is easier, where you can practice what you learned and bond to become a real team. 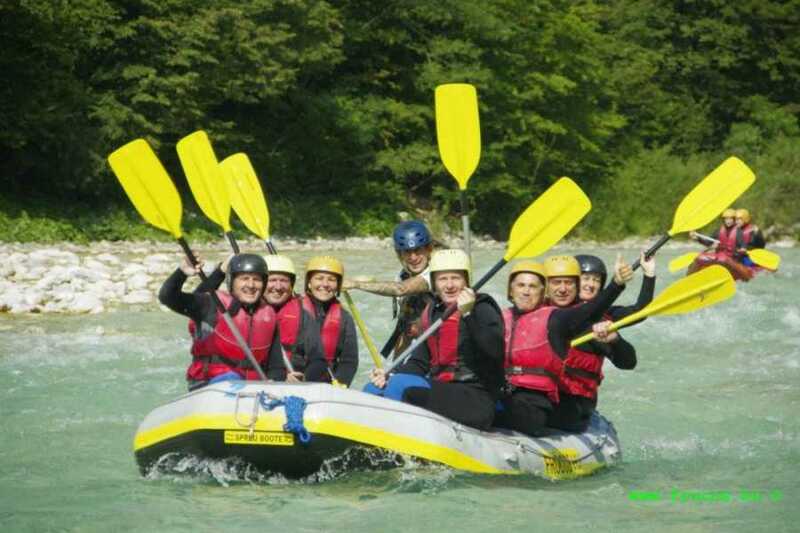 The second part is longer and more fun. 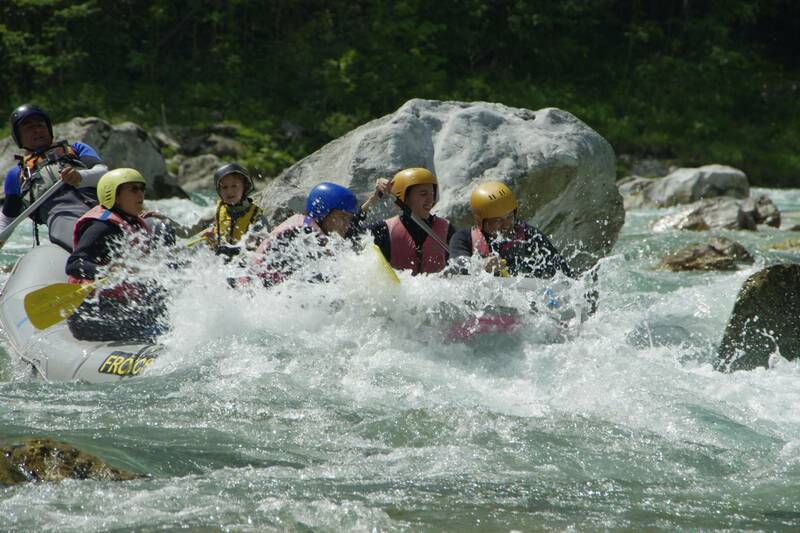 The river goes through a nice, open gorge with big rocks, waves and rapids (Class II-III). 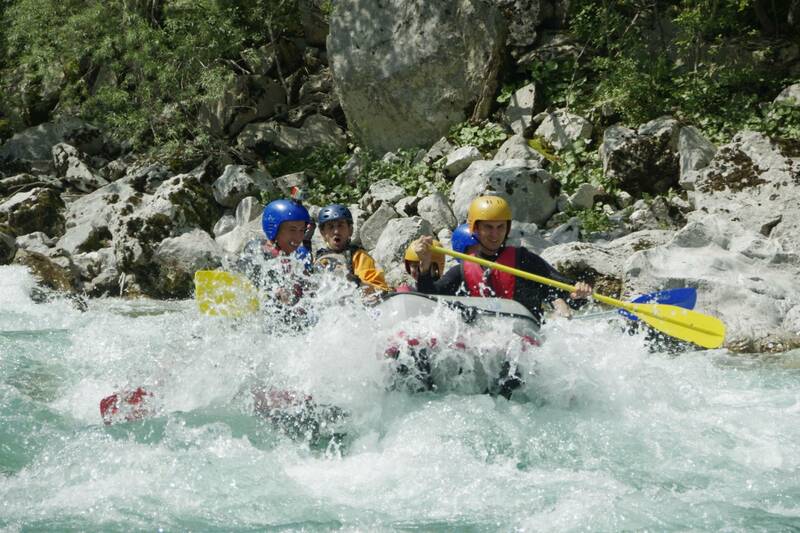 We can guarantee no one will get out dry. 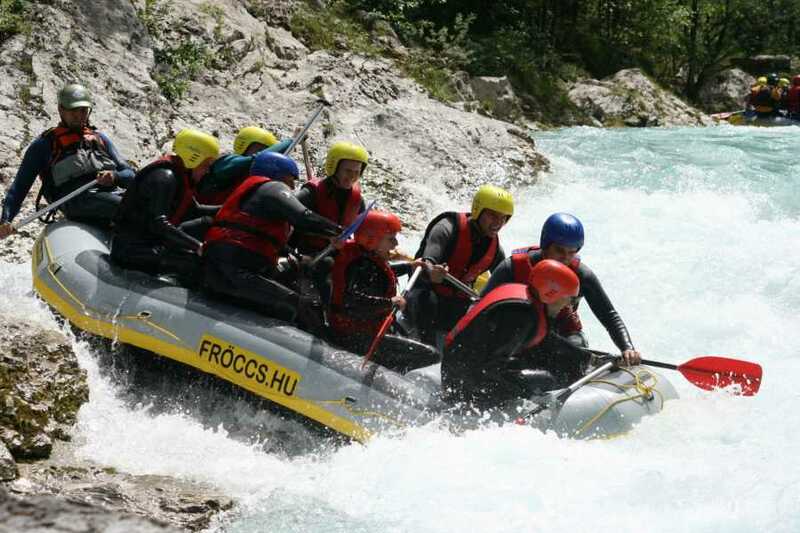 During the trip we will stop to refresh ourselves and you have a chance to jump from smaller or bigger rocks or try swimming down on an easy rapid. Visit our web shop 1 or 2 days later because we upload all the pictures that was taken on the trip!